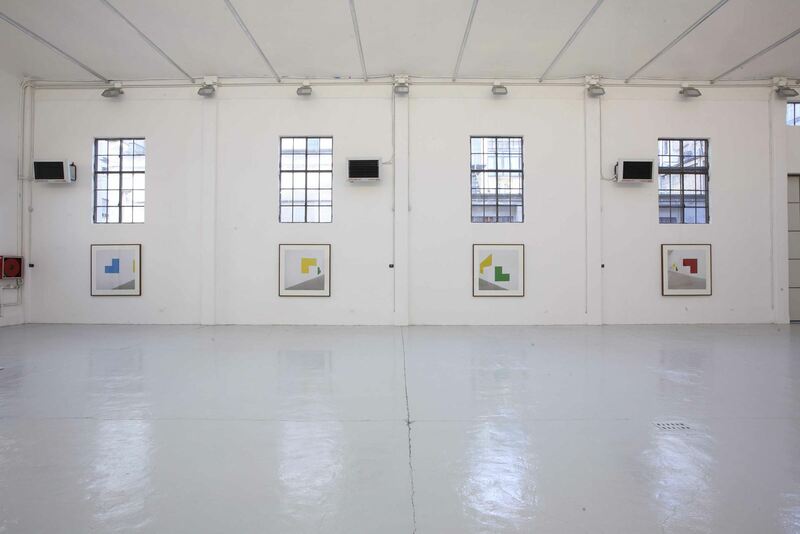 For almost forty years, Jan Dibbets has created works based on exhibition spaces. 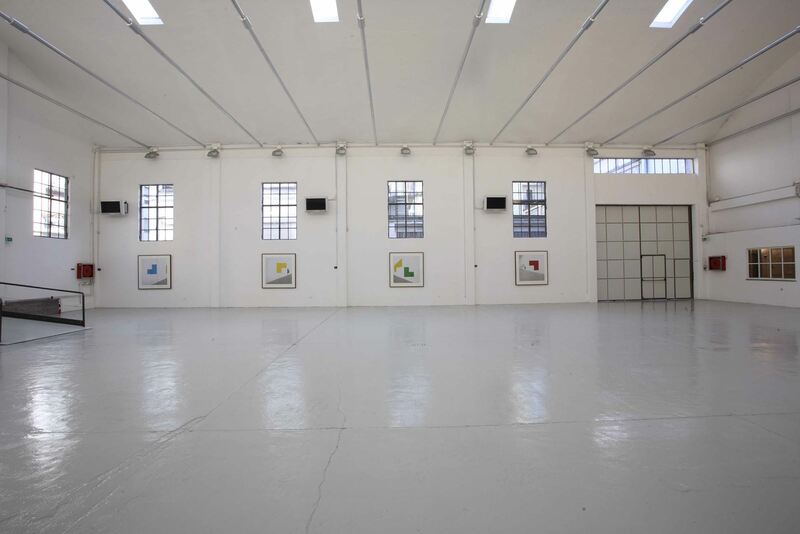 Galleries and museums have served as experimental laboratories for the Dutch artist since the end of the 1960s. These spaces become propitious laboratories for Dibbets’ exercises that seek to question the temporal and spatial properties of a “reality” re-interpretated through a formidable photographic filter. Dibbets’ approach, as much in the past as in the present, appears to defy a doxa that would equate an image obtained by this medium to an “objective” observation of “reality”. In response to the cult of information, transmitted through documentary practices, Dibbets substituted in the 1960s a method for the transformation of photographed data into photographic data. 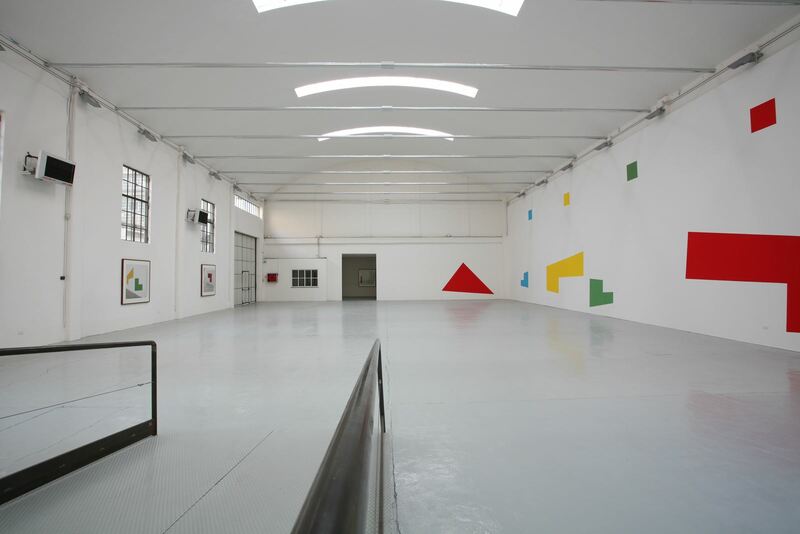 The moving Turin homage of Dibbets to his late friend Sol LeWitt does not sway from this path as the artist relies on a process introduced in 1967 and revisited by him in the last few years: the correction of perspective. 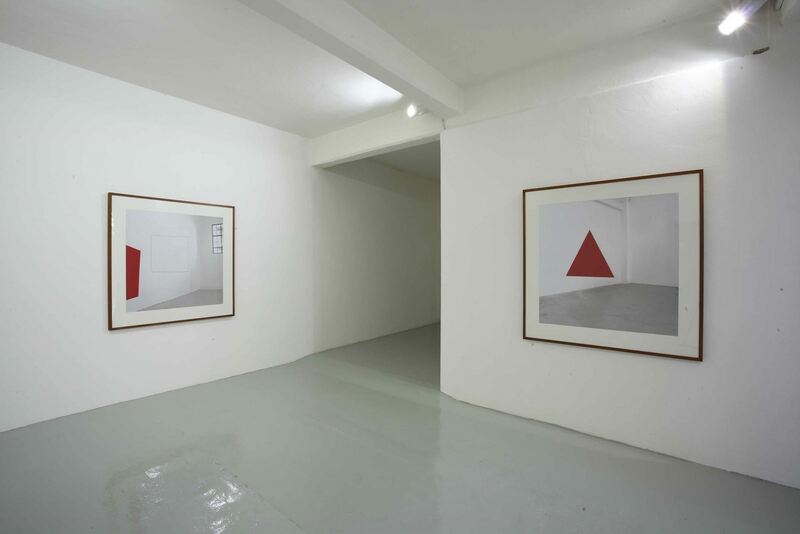 This process is based on a simple anamorphic principle: Dibbets draws or paints forms, in this case on the wall of a gallery, which he photographs from precise points in order to provoke the mutation of these forms into new forms made permanent by the photographic eye. Thanks to these corrections, the warped elements on the wall recover configurations in harmony with a register of “primary” structures similar to those created by Sol LeWitt. 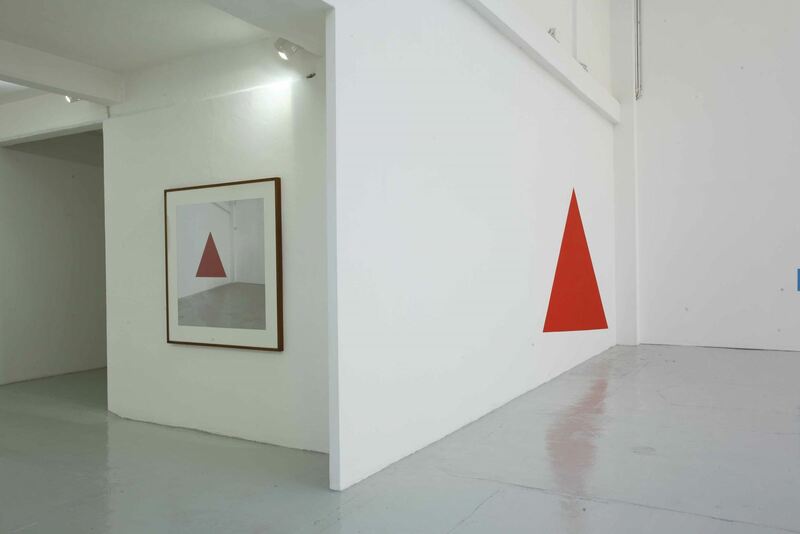 It is not by chance that Dibbets has chosen once again, here in Turin, to present his photographs in the vicinity of the original designs, since the display of the different works in proximity with the mural paintings used to create them permits the observer to adequately measure the distance that separates the initial geometric forms from their photographic representations. This coalescence of the mural paintings and their representations reminds us that Dibbets’ work draws on an obvious “conceptual” optic. Yet, this optic remains resolutely singular, as the artist shows using direct evidence that his images are not the merely analogical or tautological conceptions characteristic of some of his colleagues. 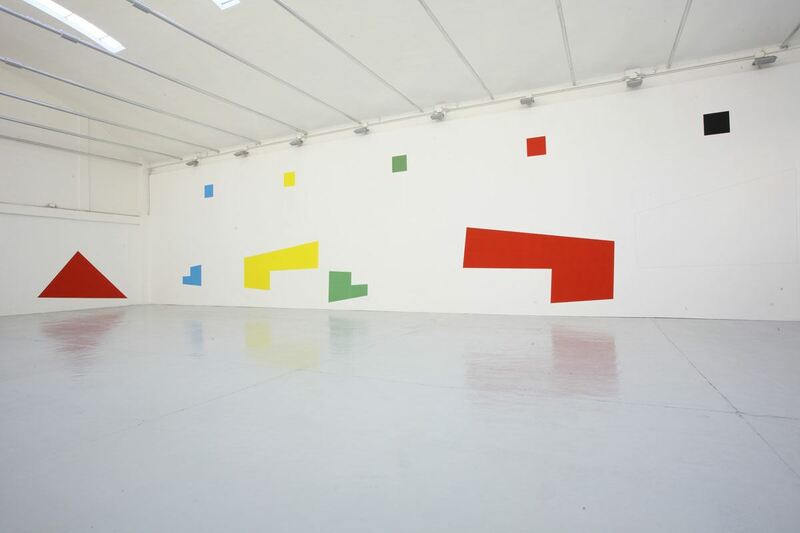 Rather, the Homage to Sol LeWitt derives from a conception that we could qualify as magic.